The Range Rover Evoque is a capable and winter-ready luxury performance SUV, perfect for all of Colorado’s seasons. 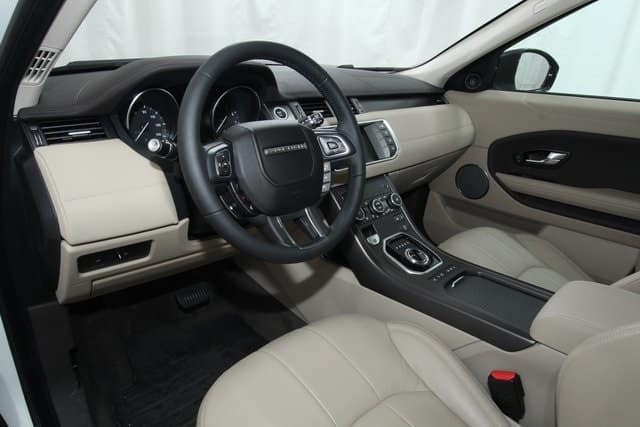 One feature available on the Evoque that prepares you for cold weather is the Cold Climate Convenience Package. This super collection of features aims to keep you safe and comfortable on even the coldest days. The heated steering wheel and heated front and rear seats are pure comfort! You won’t need to stay bundled up while in the car which means a more relaxing and enjoyable driving experience for you and your passengers. In addition, this package includes heated windshield and washer jets to keep your view while driving as clear as possible. Get ready for any weather conditions with the 2018 Range Rover Evoque for sale at Land Rover Colorado Springs. We have several for you to choose from and many feature this impressive Cold Climate Convenience Package.